All of her books have been Amazon #1 bestsellers. Her debut novel, In the Beginning and its sequels, Irrefutable Proof and Incarnate are fact mixed with fiction, mystery/sci-fi novels not written as action packed or fast paced, but as "what-if" alternative history stories. After those books were published, Abby switched to writing cozy mysteries. Finding much success, she has three series so far, Logan Dickerson Cozy Mystery, Normal Junction Cozy Mystery and Tiny House Mysteries. 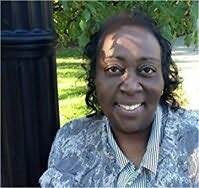 In 2017, she contracted with Henery Press in a 3-book deal to pen the series Romaine Wilder Mysteries.